But for many men in China and in other parts of Asia, using cosmetics is part of their routine too. “I basically wear makeup every time I go out, and buying clothes also makes me happy,” Zhang Yangzi, a 22-year-old teacher from Shanghai, told the ABC. He said he spends about a third of his monthly income on his appearance, mainly on clothing and cosmetics. “Perhaps I feel that makeup will make me more confident, and I think men should polish ourselves better,” he added. Mr Zhang is part of a growing trend in China, where men are displaying a softer form of masculinity, sparked by the rise of effeminate male celebrities in Chinese media and popular culture. Statistics from research firm Euromonitor show the market for male grooming products is rapidly expanding in China, with a 44 per cent sales increase (in real terms) of male grooming products from 2011 to 2016. Julia Illera, research consultant at Euromonitor International, anticipated global sales of male beauty products would continue to rise over the next five years, particularly in the Asia Pacific market. “When looking at regions, Asia-Pacific is the fastest-growing region in men’s grooming globally,” Ms Illera told the ABC. 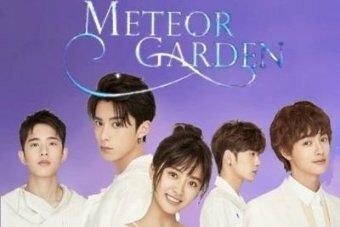 Despite the growing popularity of effeminate males in Chinese youth culture, the portrayal of masculinity in Chinese media has received a strong pushback from powerful players in Beijing. 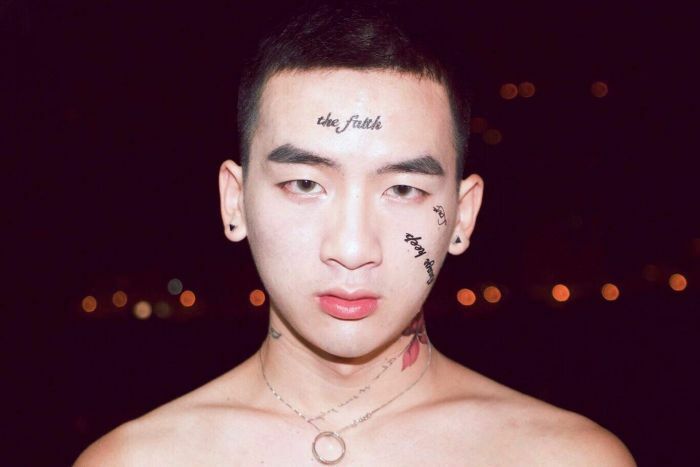 Last week, Chinese state media Xinhua published an editorial slamming the portrayal of men in Chinese media, claiming the popularity of the “sickly aesthetics” in effeminate celebrities was having an adverse impact on teenagers. 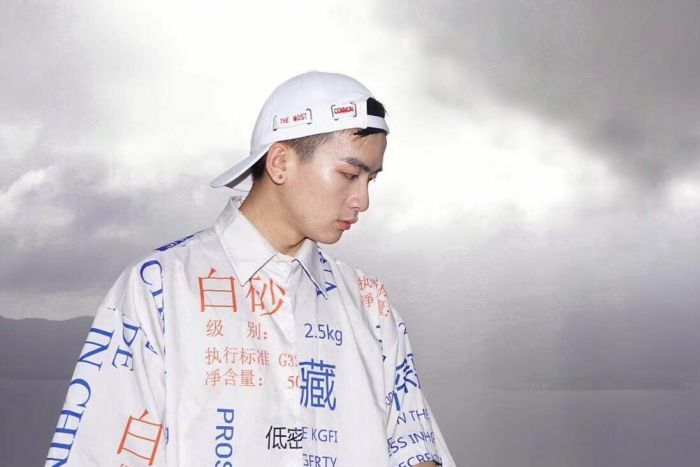 Xinhua said that “sissy pants” or “little fresh meats” — who they describe as effeminate young men who use makeup, are slender and wear androgynous clothing — were hurting China’s national image. “In an open and diverse society, aesthetics can be varied, and people can enjoy what they do,” Xinhua’s editorial said. “However, everything should have a limit … in this case, it’s no longer a matter of aesthetics, but it is an enthusiasm for ugliness and vulgarity. The editorial, with its use of strong derogatory terms like “sissy pants”, received a mixed reaction on Chinese social media. “It would be a country’s tragedy if the whole society accepted this sissy culture and teenagers started following it. Supporting cultural diversity does not mean that this culture should become part of the mainstream,” wrote one Weibo user, DRA Spider. “It is up to the individual to decide who they want to be. Even if a boy likes to wear makeup and speak softly, it doesn’t mean he has no sense of responsibility,” posted another user, LiRoFi. The comments also received strong opposition from another state media, People’s Daily — which is often referred to as the China Communist Party mouthpiece — which denounced Xinhua’s use of derogatory terms like “sissy pants”. “A valuation based on gender characteristics, which equates male quality with appearance, is a simplistic approach,” said People’s Daily. They added that masculinity came from within, citing “courage and responsibility” and the “behaviour of abiding by the law” as more important factors of masculinity. Mr Zhang said comments from the Xinhua editors were extremely offensive to young males in China. “The most infuriating thing is that it was actually published by the state media,” Mr Zhang said. Associate professor at RMIT University and an expert on China’s digital media and popular culture, Dr Haiqing Yu, said that while male beauty was still rejected by older generations in other countries, in China there were more political undertones to the issue. Dr Yu said Xinhua’s position suggested many in positions of power were not at ease with an effeminate male image as it did not reflect China’s “desire to lead, not just to follow”. 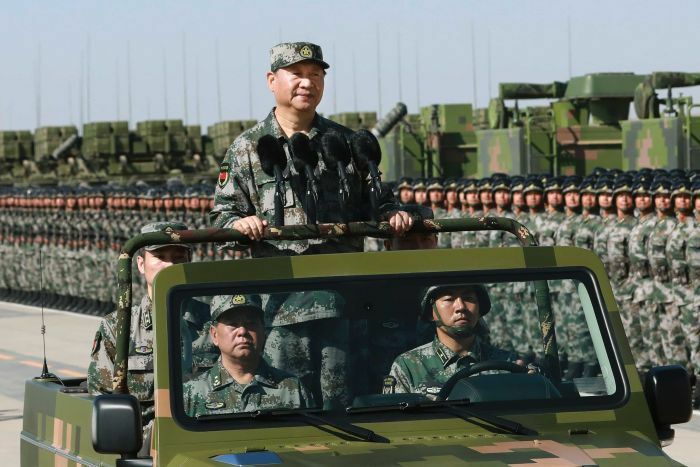 “China is increasingly flexing its military and economic muscles everywhere to show the rise of China as a really powerful masculine figure, represented by the Chinese President for example,” Dr Yu told the ABC. According to Dr Yu, the modern rise of the “little fresh meat” in China flows from youth culture trends in Japan and South Korea, particularly K-Pop, J-Pop, anime and manga. “You look at the K-pop stars, those teenage boys, they all look similar and they all wear makeup — it’s them who have popularised the male cosmetics industry,” Dr Yu said. YOUTUBE: K-Pop groups like BTS have popularised male beauty across the Asian market. In Korea, the boys are known as “flower men” and in Japan they are referred to as Bishōnen, which translates literally to “beautiful youth boy”. “It used to be the Hollywood figures that the Chinese youth aspired to be, but now it is the Asian pop figures, and that inter-regional cultural flow impacts on how young male figures are portrayed, represented and shaped in the popular culture of China,” Dr Yu said. Ms Illera said the “high exposure to social media and powerful celebrity influence” in the Asia-Pacific region drove the sales of male skincare products. “Skincare regimens in Asia-Pacific are largely being driven by look-conscious consumers and characterised by gender blurriness, with unisex products such as cosmetics, including lip tints, BB/CC creams and mascara in high demand,” Ms Illera said. Speaking to ABC’s The World, Lawrence Wong, star of China’s immensely popular drama series The Story of Yanxi Palace, said the popularity of the effeminate image was something that he saw while working across Asia in recent years. “I think it’s just a trend; if it doesn’t appeal to you, it doesn’t appeal to you — if it appeals to you, it appeals to you,” Mr Wong said. Dr Yu added that the marketing push from western brands like L’Oreal and Nivea and Asian-based products like South Korea’s Laneige has been key to the wider adoption of male beauty in China. “China’s market is huge, particularly the male one,” she said. Ms Illera said this was part of a worldwide trend in the industry, with brands starting to target products to the male market. 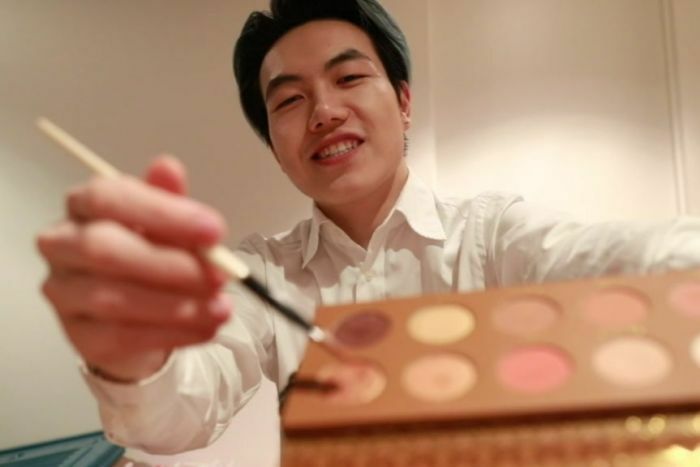 “Some brands are using male beauty bloggers such as L’Oreal featuring Gary Thompson, whilst brands like Covergirl cosmetics have introduced their first male spokesperson using makeup artist James Charles,” she said. Dr Yu also pointed to the wider desire for self-expression in Chinese youth culture, particularly the push for greater gender equality and a fight for LGBT rights, as a factor in the development of the male image. 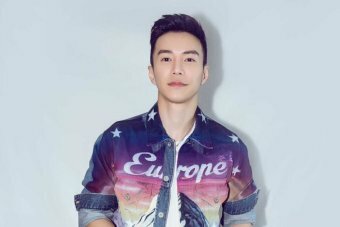 Beijing has been strict against LGBT content in the media, controversially censoring Ireland’s gay love song during the Eurovision 2018 broadcast and attempting to censor LGBT content on social media sites. “More visibility of LGBT people from the screen to social media has played a role in disrupting traditional gender roles,” Dr Yu said. But despite the attempts to control the image of young Chinese males, Mr Wong said there is more than enough space in the Chinese market for many portrayals of masculinity. “China is a huge country, with all sorts of people. Different people appeal to different audiences, I think the market is big enough for all types of male artists, younger ones, older ones,” Mr Wong said. Mr Zhang said the Government should stop trying to manipulate the image of its citizens. “Everyone has the right to wear makeup or not to do so,” Mr Zhang said.